A congenital heart defect (CHD) is a birth defect that involves a problem with the structure of the heart. CHDs are the most common type of birth defect. 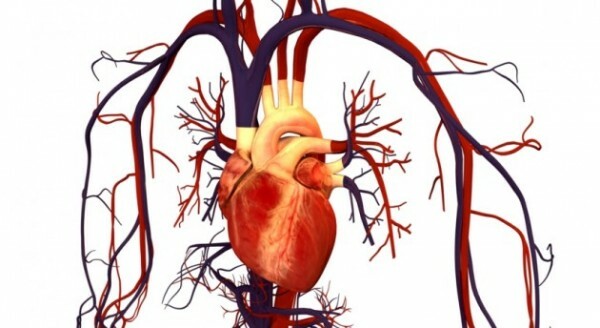 CHDs may involve the walls and valves of the heart, and the arteries and veins near the heart. The defects can disrupt the normal flow of blood through the heart. CHDS can cause blood flow to slow down. An child with a defect can also experience blood flow to the wrong part of the body, and blood flow may be completely blocked. Anyone can give birth to a child with a congenital heart defect. At least eight out of 1,000 babies could have a form of congenital heart disease, but most of them may be mild. If an individual or their family members have already had a baby with a heart defect, the risk of having a baby with a defect may be higher. Congenital heart defects are malformations present at birth. CHDs may or may not have a disruptive effect on an individual’s circulatory system. Bran – Bran cereal is full of fiber, and it can help you control your cholesterol level. Other sources of fiber include barley, oats, whole grains (like as brown rice and lentils), and beans (like kidney beans and black beans). Broccoli – Broccoli is rich in calcium. Chicken – Chicken contains vitamin B6, a nutrient that helps maintain heart health. Garlic – Garlic is rich in antioxidants. This vegetable can help minimize plaque buildup, reduce the occurrence of chest pain, and it can help keep the heart healthy overall. Olive oil – A source of monounsaturated fat, you can use olive oil when sauteing vegetables. Pecans – Full of magnesium, pecans are another heart-friendly food. Whole-wheat bread – Whole-wheat bread contains selenium, an antioxidant mineral that works with vitamin E to protect the heart. Treatment for CHDs depends on the type and severity of the defect. There are affected infants and children who might require one or more surgeries to repair the heart or blood vessels, while others may be treated without surgery through cardiac catheterization. Cardiac catheterization will not always fully address the heart defect, but it can significantly improve blood flow and how the heart works. Sides effects of CHDs may depend on the type and severity of the particular defect. Some defects can have few or no symptoms. Others might cause symptoms like blue-tinted nails or lips, fast or troubled breathing, tiredness when feeding, and sleepiness. The following foods can help prevent a congenital heart disease: bran, broccoli, chicken, garlic, olive oil, pecans, and whole-wheat bread.